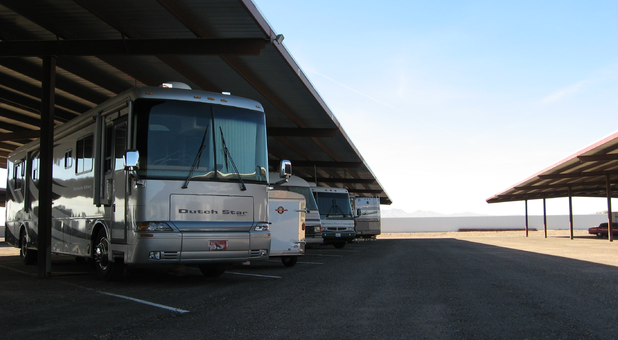 Discount RV and Boat Storage is easy to access, just off N El Mirage Road and near the Gateway Park and Northwest Valley YMCA. Our secure vehicle storage facility is at the end of N 121st Ave. 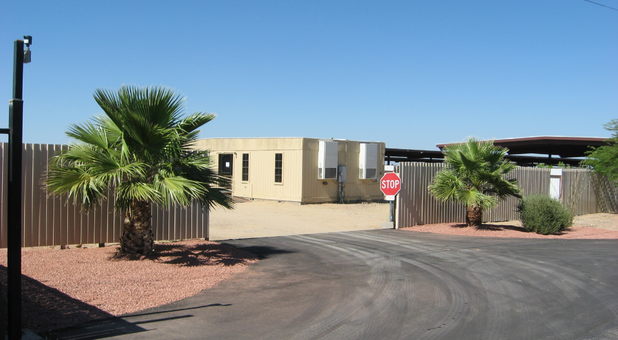 Located next to the Agua Fria River, our facility is perfect for anyone in the Valley of the Sun. If you are looking for a reputable and affordable solution to RV and boat parking, Discount RV and Boat Storage is here to help. 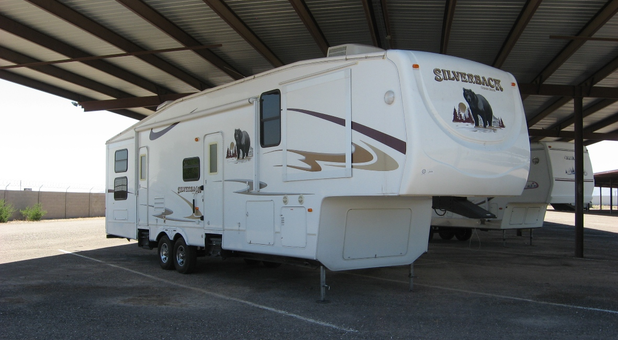 Our fully secure facility is home to all kinds of vehicles, including boats, RVs, cars, and more. You have access to our dump station where you can empty your gray and black tanks, provided at no extra cost. If necessary, you are also more than welcome to flush them onto our river rock surface. We firmly believe that you should be able to store anything that you want. That’s why we invite you to store anything that you can fit though our gate. Our 24-hour access seven days a week makes us a favourite choice with customers from all over the Valley of the Sun, including El Mirage, Surprise, Dysart, Agua Fria Estates, Dysart Ranchettes, Monta Blanca Estate, and Surprise Point. 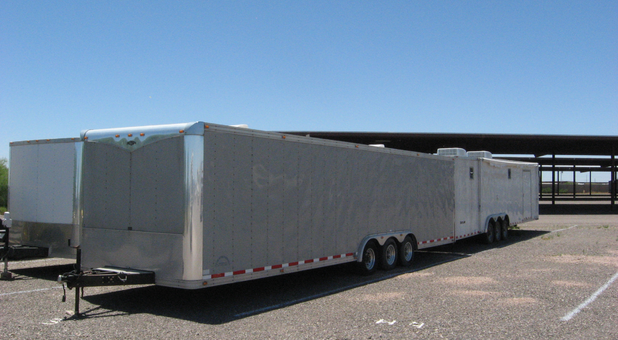 With nearly six acres of our site available to you, there is nothing that we can’t store. Our 135 covered bays with overhead clearance of more than 13 feet are perfect for RV and boat parking throughout the year. Nearly all of these bays can be adapted to pull-through for you if need be. Always great customer service from Michelle. Any issues or questions, she gets back to me very quickly. Will be back this fall. Great Idea Don! We work hard to keep our facility clean and to meet the standards of our tenants. We appreciate your review and just want to say Thank You for noticing our hard work!! We've been storing here for 3 years now. Good location and great service from Michelle. See you in October. Thank You, Robert... We always appreciate when customers take the time to leave kind words! Thanks for Choosing Us!! Michelle was a great person to deal with. Very friendly and accommodating. Thanks for all your help. Michael, Thank You for leaving such a great review. We are glad that you loved our service and facility. We greatly appreciate your business and your support. Thanks for storing with us! For the past two years I have stored my RV at Discount RV & Boat Storage during the winter rather than take it back to Colorado. 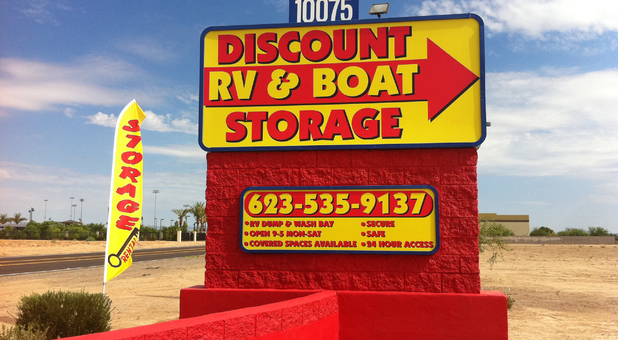 Discount RV & Boat Storage is a great value and the manager, Michelle is the best. She is very professional and very accommodating. I highly recommend Discount Storage! Randy - Thank you so much for your review! I'm so glad that you enjoyed your experience - We appreciate your business & support! !